Each day the HonestJohn.co.uk team scours the market to find you the best deals and discounts. 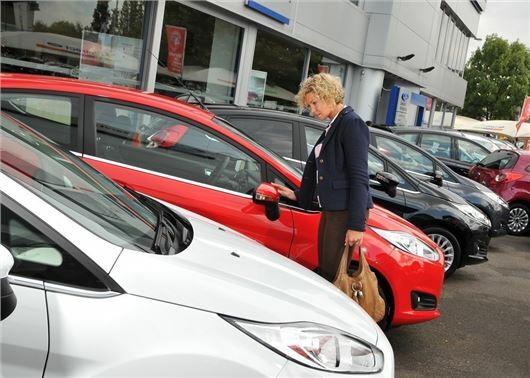 There are huge savings to be made on new cars, insurance and accessories. Visit this page regularly in July to see how much you could save on your everyday motoring. Get £500 off any new SEAT when you book a test drive this summer. The offer is in addition to any existing deals and the car must be ordered by 30 September. Save £30 on a Nextbase Dash Cam 402G Professional with Halfords. Plus get an extra 20 per cent off when you trade in your old dash camera. Get free sat nav worth £600 when you buy a new Honda Civic. The offer applies to Civic SE Plus 1.8 i-VTEC petro models only, ordered before 31 July and registered by 30 September. Save 15 per cent on a supercar driving experience. Tesco has cut the price of both rallying and track driving days, with prices starting from £33. Save £30 on a Nextbase Dash Cam 402G Professional with Halfords. Now £119, the 1080p camera automatically records your journey onto a 23GB memory card. Offer ends Monday 1 August. Free breakdown and gadget cover when you take car or van insurance with Be Wiser. The deal also includes free legal cover. You must buy direct from Be Wiser to qualify. Price comparison website quotes are not included in the deal. Got a dashcam? You can save up to 12.5 per cent on your car insurance with Swiftcover.com. You must buy your cover online and direct from Switcover.com and the discount is available for new and renewing customers. Reader offer: Save 10 per cent on GAP insurance with ALA. HonestJohn.co.uk has teamed up with the insurance provider to give an exclusive discount. Keep your car looking fresh this summer. Halfords has cut 20 per cent off the price of Autoglym waxes, police and car shampoos. Save 41 per cent on AA France travel kit with Amazon. The kit includes everything you need to stay legal when driving abroad, with GB magnetic plate, hi-vis vest and a twin-pack of breathalysers. Get a USB car charger for half price with Argos. The Philips duel port USB charter was £29.00, but can be yours for just £12.99 for a limited time. Save money on city centre parking with Tesco ClubCard. Help yourself to reduced parking costs by using Clubcard vouchers with Q-Park. Simply exchange £5 in vouchers and you'll receive £10 back in Q-Park tokens. Reader offer: Need cheap breakdown cover? HonestJohn.co.uk has teamed up with RecoverMe to give an exclusive discount. HonestJohn.co.uk readers are eligible for a 20 per cent discount on the standard and Standard+ RecoverMe memberships. Get a Garmin five-inch sat nav for just £65. Halfords has knocked £34.99 off the price. You can also get half price accessories for a limited time. Save 20 per cent on servicing when you book online with Kwik Fit. You can also get up to £80 cashback when you buy two Pirelli tyres. Get free breakdown cover when you book car insurance with the Post Office. Breakdown cover is for new customers only and you must be aged under 50 to qualify. Free Kindle when you buy four Pirelli tyres with ATS Euromaster. Claim a free six-inch Wi-Fi (Black) Amazon Kindle or claim a £20 Amazon.co.uk gift card with the purchase of any two tyres online. Save money on MoT, servicing or repairs with Tesco Clubcard. For a limited time, you can exchange £10 in Clubcard vouchers for £30 worth of Halfords Autocentre tokens to spend at a participating Halfords autocentre. Get £50 worth of food shopping vouchers for free when you take our car insurance with the Co-Op. The deal is for new customers only who buy direct from the Co-Op.